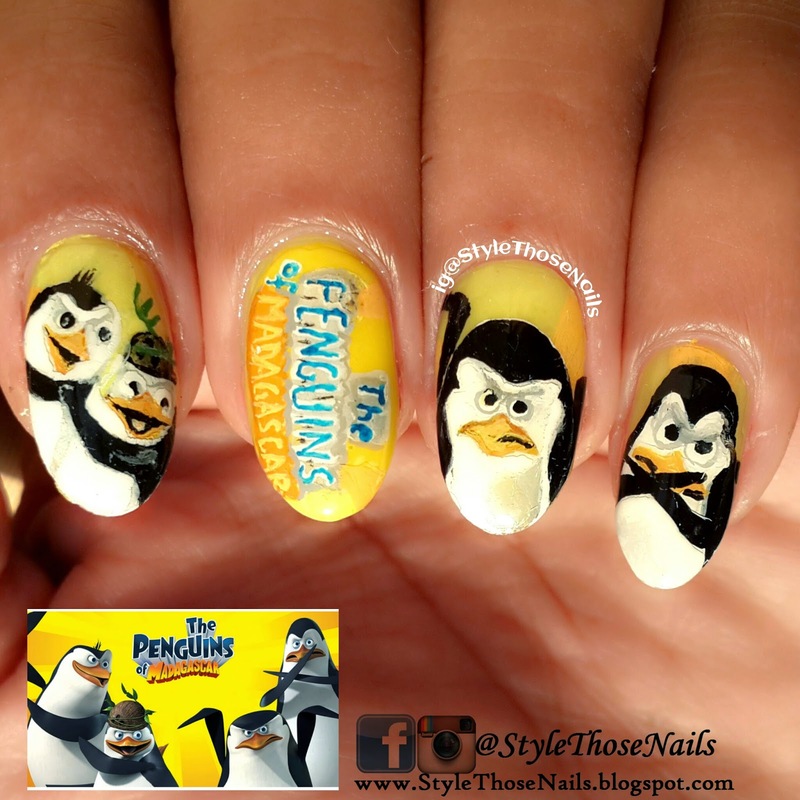 Today I am sharing Penguin Nails. 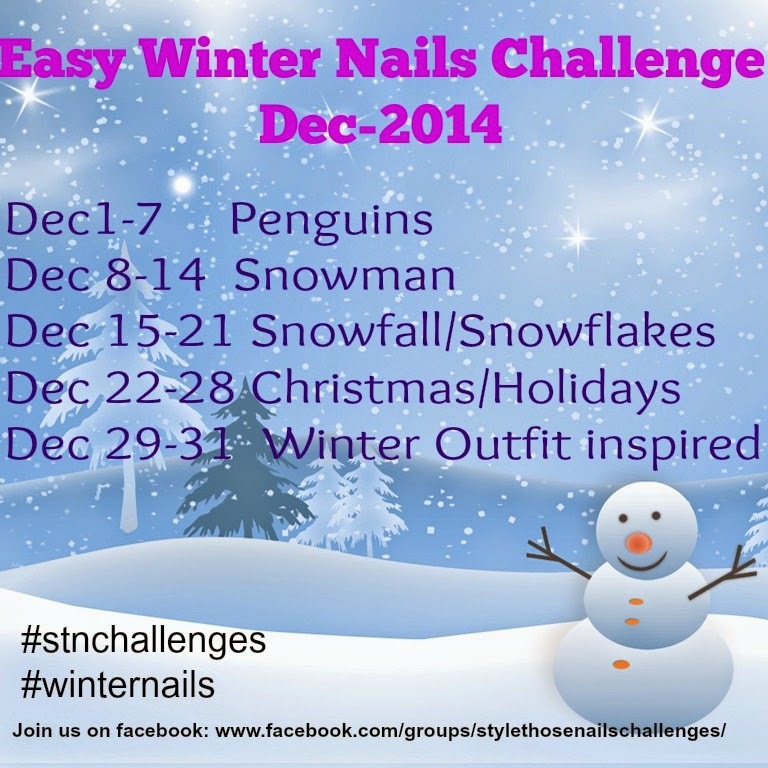 This is the first prompt of Easy Winter Nails Challenge (Read more about this Challenge HERE). 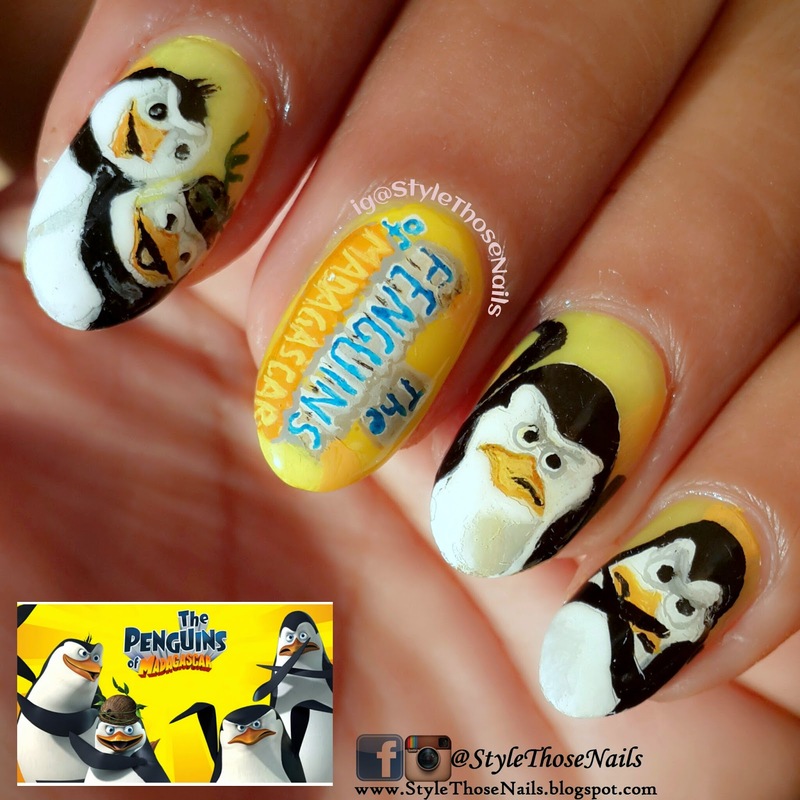 I decided to paint movie inspired nails- Penguins of Madagascar. I really love how it turned out. Let's have a look. 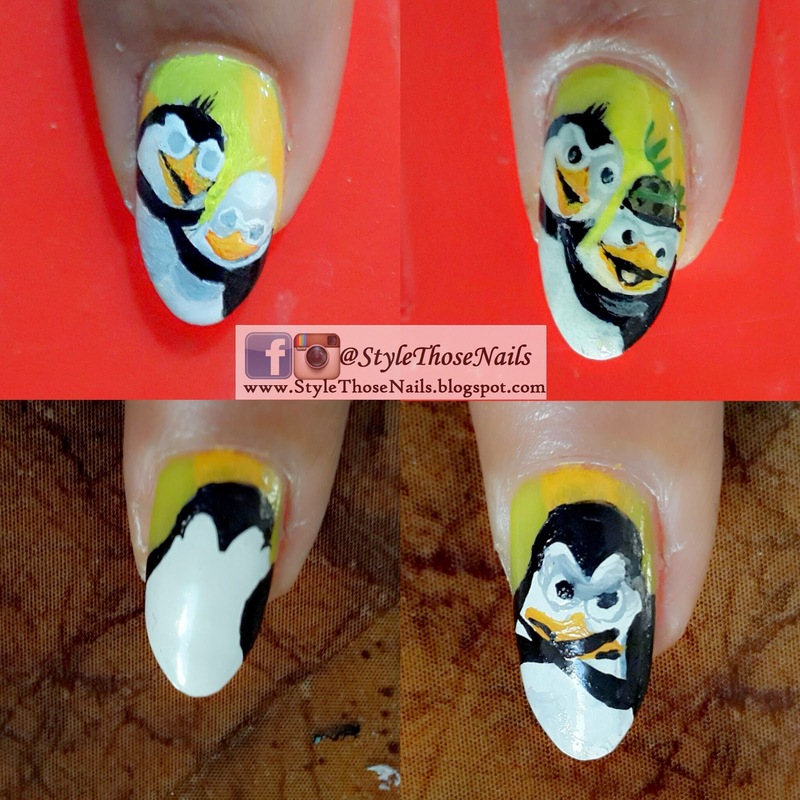 While doing the penguins I was focused to bring out their expressions and hopefully I was able to some extent. 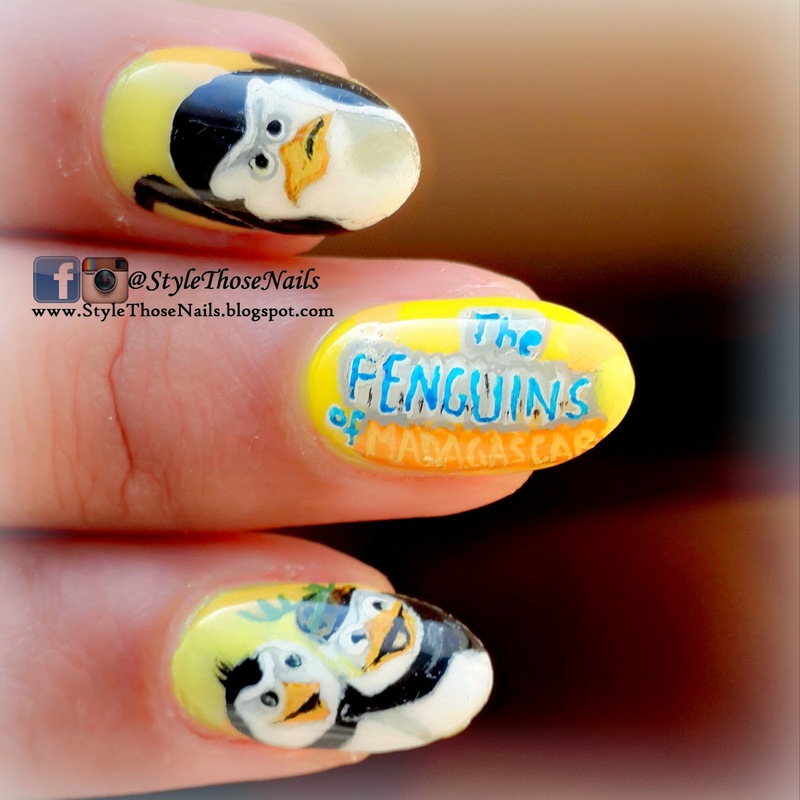 The name of movie was the trickiest part and most time consuming.I had to write it vertically to fit in my nails. This whole nailart is done using fevicryl acrylic colors on a peel off nailpolish base. I used seche vite to topcoat the design. I am pleased with the outcome and would like to know what you think of them. Also below are some pics I took while painting they are random just for an idea. 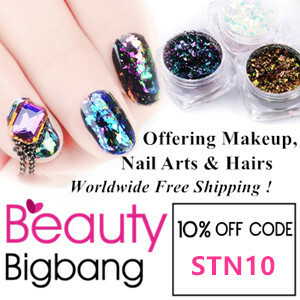 I am still not comfortable filming a tutorial while painting these types of nailart as I am totally lost when doing them and also it takes a lot of time. I hope I can do some video tutorial in future. I hope you enjoyed this post. Do share your comment and if you Like to join us on facebook click on the picture below.